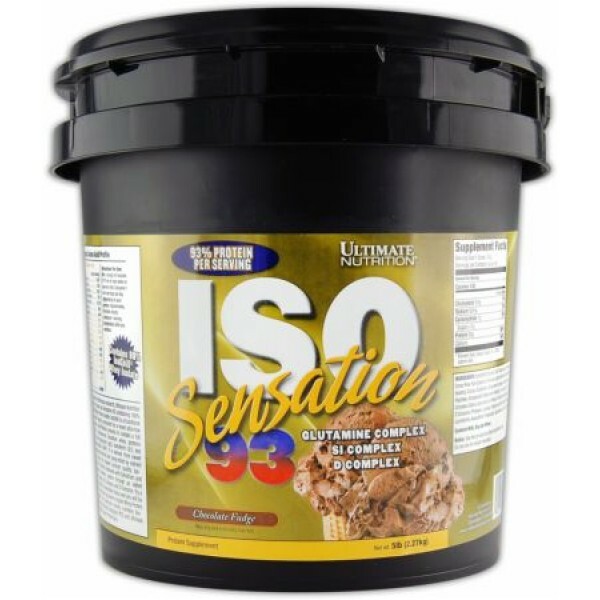 After 5 years of continuous research, Ultimate Nutrition is proud to release Iso-Sensation 93 containing 100% IsoChill® Whey Protein Isolate. 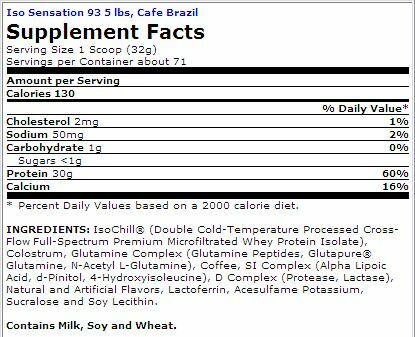 IsoChill is a functional whey protein isolate, processed by a novel ultra-low temperature microfiltration process to contain a full balance of undenatured bioactive whey proteins including immunoglobulin (IgG), lactoferrin (Lf), and glycomacroprptide (GMP). It is derived from sweet whey, membrane-filtered and spray-dried by indirect heat to ensure the highest product quality. Iso-Sensation 93 is further enhanced with Colostrum, and an enhanced delivery system through an added Glutamine Complex, SI Complex, and D Complex. Try a gourmet-flavored Iso-Sensation today and you will be hooked. You will never again go back to regular Whey Protein Isolate again. For maximum results, combine Iso-Sensation with Ultimate Sensation RTD and Ultimate Sensation Triple Layer Protein Bars. 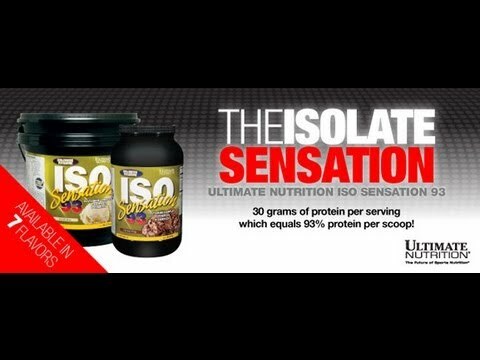 After 5 years of continuous research, Ultimate Nutrition is proud to release Iso-Sensation 93 containing 100% IsoChill Whey Protein Isolate. IsoChill is a functional whey protein isolate, processed by a novel ultra-low temperature microfiltration process to contain a full balance of undenatured bioactive whey proteins including immunoglobulin (IgG), lactoferrin (Lf), and glycomacropeptide (GMP). It is derived from sweet whey, membrane-filtered and spray-dried by indirect heat to ensure the highest product quality. Iso-Sensation 93 is further enhanced with Colostrum, and an enhanced delivery system through an added Glutamine Complex, SI Complex, and D Complex. Try a gourmet-flavored Iso-Sensation today and you will be hooked. You will never go back to regular Whey Protein Isolate again.